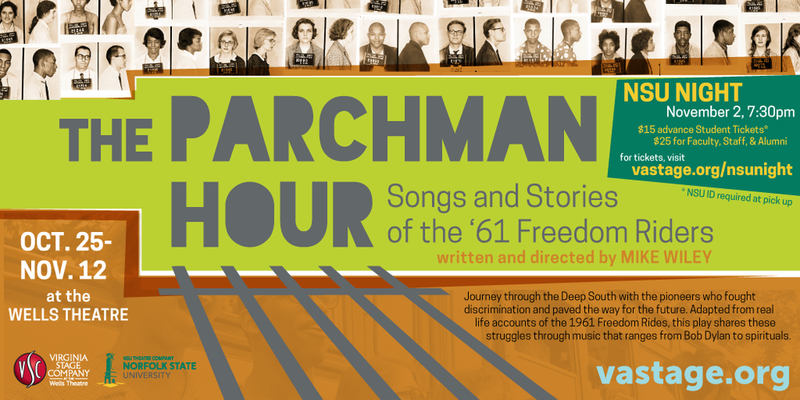 We're so pleased to be collaborating with Norfolk State University Theatre Company again for THE PARCHMAN HOUR. To celebrate this partnership, we're inviting all NSU students, alumni and faculty to join us for a special night at the Wells! NSU Students can purchase their $15 rush tickets in advance, online or at the box office (Valid ID required). Faculty, Staff, and Alumni can purchase $25 tickets online or at the box office for that evening. IDs must be shown at will call to receive your tickets.